Join a 50-Day Celebration of the Fitzpatrick Family stewardship of The Red Lion Inn in Stockbridge, Massachusetts. The celebration runs from May 4, 2019 to June 23, 2019 and will include special events, promotions, and activities. Come celebrate the vibrant history of this iconic Berkshire inn! 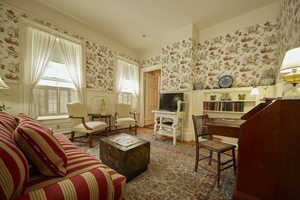 In 1969, one of America’s last great 18th century hotels, The Red Lion Inn, reopened and helped usher in a new period of prosperity in Stockbridge. In 1956, Jane and Jack Fitzpatrick moved to Stockbridge with their two daughters and their new business. As their business became more successful, they decided to invest more in their local community, this included swooping in and saving the inn when it was set to be razed in 1968. The Fitzpatricks became ambassadors of the community and even though they have since passed, their impact can still be felt throughout Berkshire County. To this day, The Red Lion Inn continues to be a Beacon of the Berkshires, drawing visitors from all over the world and offering a haven of New England tradition to its modern visitors. Celebrate Red Lion’s 50th anniversary in style with the “Fitz’s Nifty Fifty” Package! Enjoy your choice of accommodations, a bottle of Red Lion Inn Wine, and a $50 dining credit per room per night valid toward food and drink purchases at any of the inn’s restaurants. Rates start as low as $165, but you must book by June 23, 2019 for travel between March 1, 2019 and June 27, 2019. 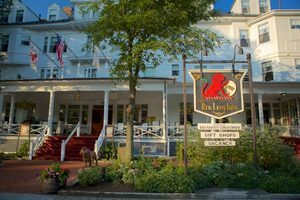 The Red Lion Inn’s 50th Anniversary will include activities such as the Fitzpatrick’s Stockbridge walking tour, the 50th Anniversary Gala Dinner, presentations by the Norman Rockwell Museum, and much more. Guests can also explore 50 Years of the Fitzpatrick’s ownership through memorabilia throughout the property. Don’t miss your chance to stay at one of the most quintessential Berkshires hotels in the area during their biggest event of the year! Sky Ute Casino Resort: Southwest Colorado’s Headquarters for Fun and Entertainment!